Microsoft confirms Facebook will launch an official version of its social-networking application to the platform. After almost nine months of its launch, Windows 8 is finally adding an official Facebook app. 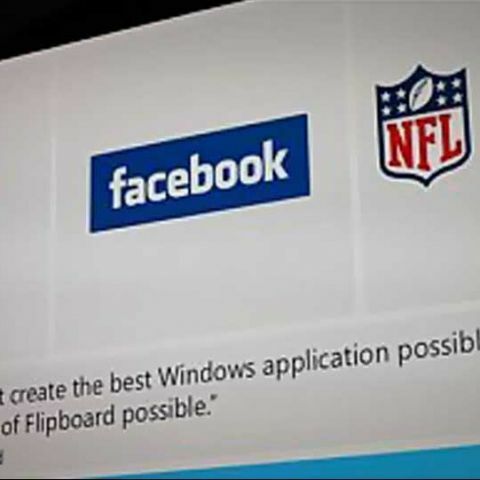 The latest operating system from Microsoft is also set to add native apps of Flipboard and NFL Fantasy Football. The announcement was made by Microsoft's CEO Steve Ballmer at the company's Build conference in San Francisco. Ballmer further revealed Windows 8 now has more than 100,000 apps. According to reports, the official Facebook has been designed by the social networking company and customised for Windows 8 tablets to begin with. The app is expected to be available by fall this year. Availability of Flipboard and Facebook native apps is likely to boost Windows 8's app eco-system. Such high-quality apps on the platform is likely to grab the eyeballs of consumers as well developers. Moreover, it's going to push sales of Windows 8 slates.